Mira Chambers has an unusual gift for solving mysteries … Blind, institutionalised and frustrated by her loss of independence, Mira has been driven to the brink of insanity by medications that make her life unbearable. When she astounds two medical scientists by ‘seeing’ the impossible, they begin an exploration of Mira’s strange perspectives. 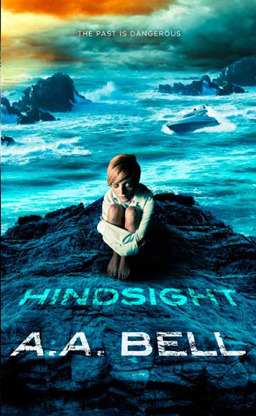 Together with Bennet Chiron, an enigmatic ex-con, Mira becomes entangled in a dangerous adventure of self-discovery that leads them to a killer — and exposed to a manipulative sociopath whose own unique talent is more than a match for Mira’s. Layers of secrets are about to be peeled away … and no one will be safe from what is revealed. 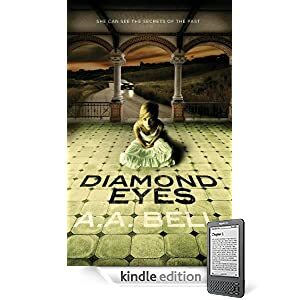 I chose to read DIAMOND EYES because it is on the Best First Fiction Nominations list for the Ned Kelly Awards for 2011. Despite the product description there is little that marks the early stages of the novel as crime fiction and I found it hard to place the novel. Perhaps futuristic fiction I thought. Although I did come to appreciate why it has been nominated for a Ned Kelly, but I am not convinced it should be there. There is evil, crime, and even murder, but for me the threads strayed more into science fiction. There are just too many layers in this story for me. Mira’s affliction, Fragile X syndrome, allows/forces her to see events from the past that have taken place in the rooms and settings she is in. The colours of her glasses determines what she sees. Sometimes what she sees are memories, while other visions are conjured up by her imagination. She becomes part of an experiment to enable a comparison of delusions with reality and one of the assessors sees her as a “goldmine” whose case will attract funding to their project by drawing media attention to the medical misdiagnosis she has been subjected to over the last 10 years. In addition, many of the characters, even those in authority in the mental institution Mira is in, are “damaged goods” and some are just plain corrupt. I think this is a book you will either relish or dislike. For me it was a very long read and not one that I particularly enjoyed. I felt the author had changed her mind several times in relation to what DIAMOND EYES was about. In 2008, DIAMOND EYES won Highly Commended in the Fellowship of Australian Writers Awards (for an Unpublished Manuscript). It was first published in Australia by Harper Voyager in 2010.